In the first post in this series, I explored the phenomenon that “everybody cheats irrationally”. That is, we all are naturally inclined to cheat a little, and we appear to do so based on non-economic factors. In this post, we’ll go a step further and explore Dan Ariely’s theory of why we all cheat in this way. And in turn, we’ll see why it may be easier to steal fish than money. So why do we all like to cheat by a little bit? Is it because humanity is inherently “rotten at its core”? Are we by nature “bad”? While it might be easy to conclude something like this based on the findings in the last post, Dan Ariely and his colleagues, in fact, offer the very opposite conclusion. They suggest that we all cheat by a little bit because we want to be “good” people at the end of the day. Why might Ariely and his colleagues offer up this theory? Apart from the rarity of egregious cheating in the math test experiments, found that moral considerations could significantly influence cheating. Consider one version of the math test experiment that was conducted at the rather culturally liberal university of UCLA. In this version, the experimental condition required participants to recall the Ten Commandments beforehand. What happened? Cheating ceased entirely. And moral reminders need not be religious. In another version of the experiment, Ariely and his colleagues had students at MIT and Yale remember and then sign that they would abide by their university honor code just before the experiment. What happened? Again, no cheating at all. And this was in spite of the fact that neither university has an honor code! These “moral reminder” studies show that it is much harder to engage in the process of rationalization when we must actively think about our motivation to be good people. So if we accept Ariely’s theory that we all cheat up to the point that can still believe we are good people, we might also begin to understand why it might be easier to steal fish than money. It all comes back to the process of rationalization that allows us to be “good” people. Ariely & Co. found a number of non-economic factors can encourage this process. Two such factors that are particularly relevant as we consider illegal fishing are 1) the targeting of non-monetary rewards and 2) collaboration. With respect to non-monetary rewards, consider this amusing small-scale “study” that Ariely conducted with students in a college dorm. In it, Ariely saw how much easier it was for “participants” to steal a material good, rather than a monetary sum of similar value. One day, I sneaked into an MIT dorm and seeded many communal refrigerators with one of two tempting baits. In half of the refrigerators, I placed six-packs of Coca-Cola; in the others, I slipped in a paper plate with six $ 1 bills on it. I went back from time to time to visit the refrigerators and see how my Cokes and money were doing— measuring what, in scientific terms, we call the half-life of Coke and money. As anyone who has been to a dorm can probably guess, within seventy-two hours all the Cokes were gone, but what was particularly interesting was that no one touched the bills. Now, the students could have taken a dollar bill, walked over to the nearby vending machine and gotten a Coke and change, but no one did. On the basis of this little trick on MIT students, Ariely devised another version of his math test experiment. In this version, rather than have participants directly earn money, they instead earned “tokens”, which they then almost immediately exchanged for real money. This slight distancing of the cheater from his monetary gain had a rather incredible effect upon the scale of the wrong-doing: the cheating almost doubled! As it turned out, those who lied for tokens that a few seconds later became money cheated by about twice as much as those who were lying directly for money. I have to confess that, although I had suspected that participants in the token condition would cheat more, I was surprised by the increase in cheating that came with being one small step removed from money. As it turns out, people are more apt to be dishonest in the presence of non-monetary objects— such as pencils and tokens— than actual money. Given that fishermen have to sell their catch, and might not even know how much their catch is worth until the sale, its fair to think that they might have an easier time taking a few dollars worth of illegal fish than, say, people confronted with the opportunity to steal money from the office petty cash box. Another good reason why irrational cheating may be easier to engage in when fishing, rather than handling money, is that fishing is very often conducted in groups. And as Ariely and his colleagues found, collaborative work can very easily lead to “altruistic cheating”. The key experiment in this finding was yet another version of the math test with a fake shredder for the experimental condition participants to dispose of their tests. In this version, participants were paired together, encouraged to get to know each other, and told that each person would be paid half of their team’s earnings. So what happened when participants could cheat in a way that benefited not just themselves but others? Cheating again almost doubled! Hoping to add this important social element to our experimental setup, we devised our next experiment. This time, participants were encouraged to talk to each other, get to know each other, and become friendly. We even gave them lists of questions that they could ask each other in order to break the ice. They then took turns monitoring each other while each of them solved the matrices. Sadly, we found that cheating reared its ugly head when we added this social element to the mix. When both elements were in the mix, the participants reported that they correctly solved about four extra matrices. 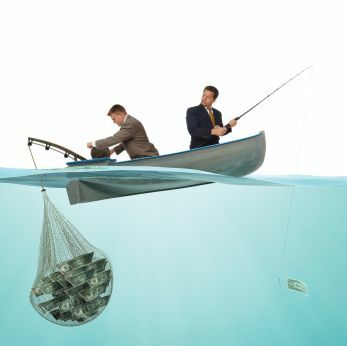 In this way, we might also see that when the earnings of a fishing trip are shared across a crew, each member might be incentivized to cheat more than he or she would on their own. In sum, Ariely makes a rather good argument that the driver of “irrational” cheating is the extent to which we can convince ourselves that we are still good people afterwards. And unfortunately for fisheries managers, Ariely has found that non-monetary rewards and collaboration can significantly aid cheaters in their rationalizations. But while the non-monetary rewards and collaborative nature of fishing cannot be changed, there do appear to be two other aspects of fisheries that could be better managed to reduce irrational illegal fishing. I’ll touch on these aspects in the next post. Mark – thoroughly enjoyed reading these recent posts! I see incredible potential for addressing the issues that you have brought up here from a fisheries perspective through research – which could produce results with tremendous policy implications. Looking forward to reading the rest of these series of posts! Thanks, Dana. I see a lot of potential as well! I’ll also be taking part in a special ICES-funded workshop on how behavioral economics might be applied to fisheries management in research and practice later this October. I hope that the main focus there will be on compliance. We should stay in touch!